We will be updating our site with events for the new year. Please check back often. 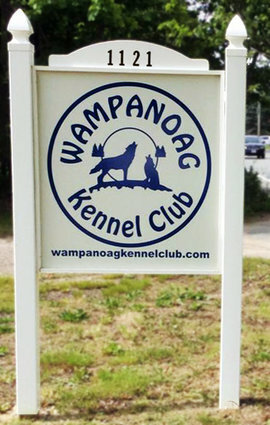 The Wampanoag Kennel Club was founded in 1955. 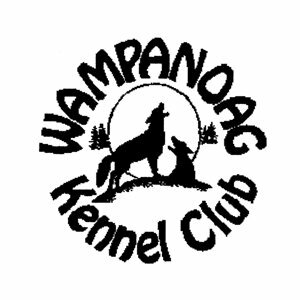 The primary objective of the Wampanoag Kennel Club is to promote and further the advancement of all breeds and purebred dogs. We are an AKC recognized all breed club that offers a variety of training classes, fun matches, obedience show-n-go's, AKC sanctioned matches and we also have a 2 day AKC all-breed Conformation show and Obedience & Rally show. CGC classes are offered at several of our events. We also offer seminars, training clinics and other venues. We are located in the quiet, country town of Acushnet, MA, and offer a spacious training hall with ample parking. The clubs general membership meetings are held the first Tuesday of each month, with the exception of January, July and August. We always welcome new members, and non-club members are invited to visit any of our training classes or events. Our goal is to promote a stronger relationship between you and your dog thru responsible ownership, care, training and public service. We are always available for assistance and guidance for you and your dog. The club also has a wide variety of owners of purebred breeds, and can help answer questions when your looking for a new puppy/dog to join your family. We welcome members who support and provide loving homes to rescue dogs, and you can participate with your dog(s) in our obedience and rally classes and join us at our matches and show n go’s. We consider ourselves a working club, and we continue to be successful with the support of our members. We rely on you being able to volunteer for at least a few of our events yearly. We are a member club of the Massachusetts Federation of Dog Clubs and support non-breed specific legislation and responsible dog ownership.